Are YOU a LEGO Master Educator? 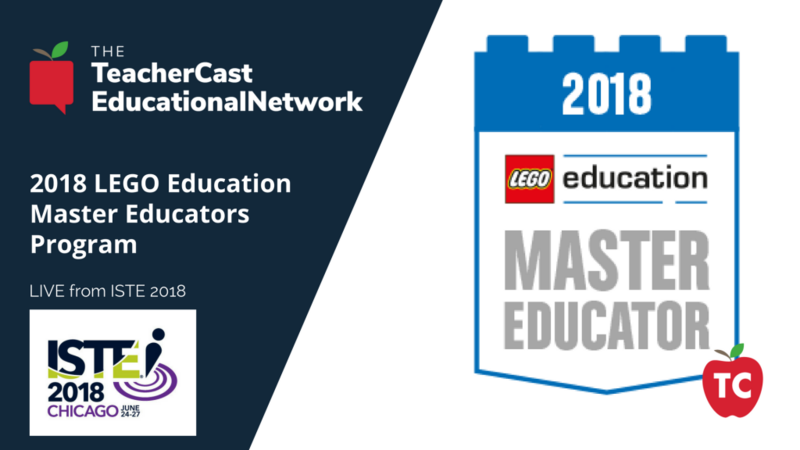 This year at ISTE, I had the amazing opportunity to join 90 educators from across the United States as a member of the first cohort of the LEGO Education Master Educator program. 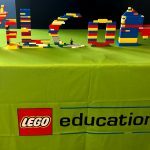 The LEGO Educator Master Educator Program is a network of educators who use LEGO Education solutions in their classroom to inspire their students. 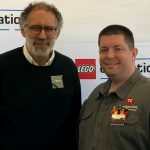 On this week's podcast, we share more than a dozen interviews that I had the opportunity to do with these amazing educators and together we share several great ways that you can use LEGO Education products in your classroom. Personally, I have been working with teachers in my district using the Mindstorm EV3 kits and have very much enjoyed watching our students learn some of the building blocks of coding and programming. in Fairfax County Public Schools. 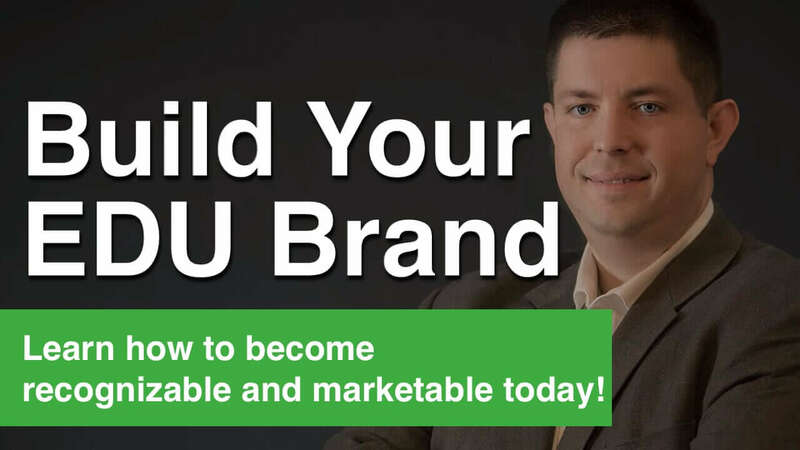 He studied Early Childhood Education at James Madison University (undergrad), Integration of Technology in Education at George Mason University (M.Ed) and has completed many courses in Education Administration at the University of Virginia. He has been a teacher his whole life. From teaching his little brother how to jump on a bed, giving swim lessons at the local pool, to spending the last 15 years in the classroom (K, 1st, Technology & STEAM), it has been his life’s passion! Brian Lachance is in his 7th year as a school-based technology specialist for Fairfax County Public Schools, Virginia. He works with students and teachers daily to bring 21st century learning to all. He is married with a 7-year-old daughter and 4-year-old son. In his free time, he enjoys all sports, particularly running and soccer. Christopher Colson has been married to his wife, Kelly, for 22 years. They have 3 children: Kayla 20, Sarah 17, and Ryan 13. He is a sports fan, particularly football, baseball and hockey. His hobbies include photography, videography and travel. He is also a youth sports coach, coaching baseball, softball, hockey, and cross country. Amy Trujillo is the Instructional Coach of a STEM K-6 school, Florida Association for the Gifted (FLAG) Public Relations Chair, and Florida Association of Science Teachers (FAST) Area Five Director. She will become the FAST President Elect at the upcoming annual conference. During her teaching experience, she has taught at the college level and online for adults and has been a grade level classroom teacher, a teacher of the gifted, an ELL teacher, curriculum coordinator, and instructional coach. She has organized and presented at conferences, written articles, and is recognized as a Google Certified Educator Level One, BrainPOP Certified Educator, and PBS Learning Media Digital Innovator. She has worked in education for almost 20 years to ensure that the needs of diverse learners are being met and all students have an equitable educational experience. in computer science, robotics, and STEM curriculum design. She is a strong community and social services professional with a master’s degree focused in Elementary Education and Teaching from Washington State University Tri-Cities. help his students learn about and understand technology as it relates to core subject curriculum concepts and technology being used today. He retired from the USAF in 1997 with 20 years of work in Instrumentation and Telemetry, building computers and data acquisition systems for aircraft and laboratory tests and performing evaluations of navigation systems. He has 10 years of experience as a maintenance, operations and process technician and as an INTEL Corp in the automated factory. Allen also has 2+ years as a Robotics Teacher at RRMS. St. Louis area. She’s always had an interest in technology and computer programming, even teaching herself programming languages in her spare time in high school. She’s been dedicated as an adult to reach out to children, especially the underserved student population, in order to provide them with challenges and opportunities in science and technology-based learning. In her free time, Laura is an avid board game player. Jen Gilbert is an educator and STEM Specialist currently working in the suburbs of Chicago, IL. As a lifelong learner certified in Early Childhood Technology and working towards a certification in Engineering Education, Jen loves nothing more than partnering with other educators to develop innovative activities that support learning across all disciplines. In addition to social media integration for schools and nonprofits, Jen often provides professional development on individualized learning for adults and students, computer programming and robotics, infusing maker education activities into the classroom and using technology to tell your story. Jen also loves animals and if you ask her about her research on The Science of Flying DogsTM, she will teach you that dogs can fly and physics is a part of your everyday life. Agency (MARESA 2013 – present). Gaby has served as the Technology Readiness Infrastructure Grant (TRIG) Regional Coordinator (2013, 2014) and TRIG Ambassador (2015, 2016) for the Rural Northern Michigan Region and Consultant for EDUPATHS (2017 – present). Before she moved to Marquette, Gaby worked at the American School of Lima-Perú. She has over 20 years of experience as a teacher, ten of them as the middle school technology coordinator and technology integration specialist. She has also been an FLL and WRO robotics coach. While under her guidance her school’s teams ranked among the top three Peruvian National Champions. She has presented on multiple occasions nationally and internationally. Peggy Reimers is a Director of Professional Development with TCEA. 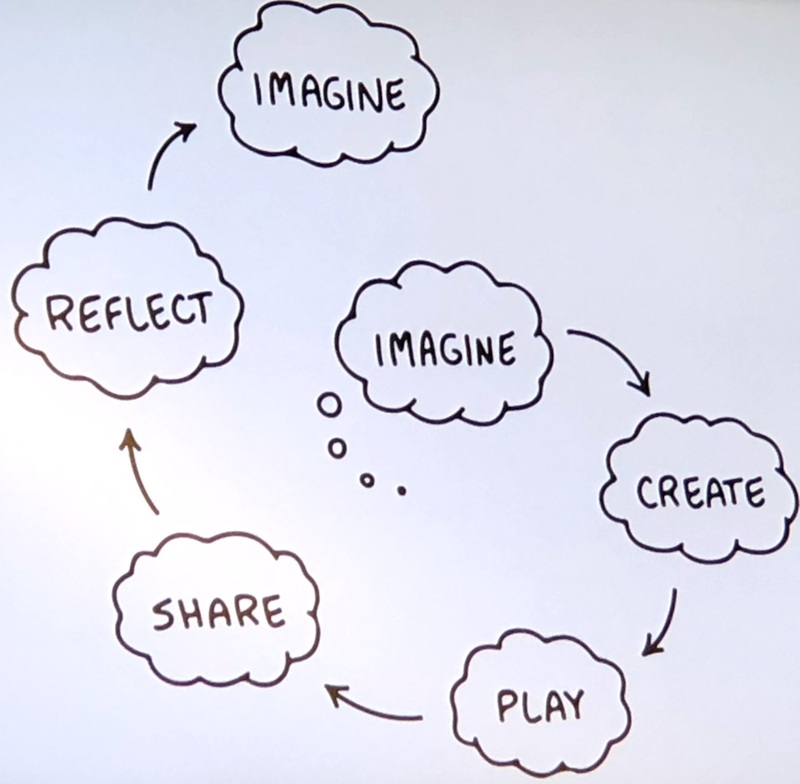 She facilitates professional development with G Suite for Education, mobile learning devices, robotics, makers, and other current technology trends. Formally a public school teacher, she shared her passion for technology and her creative, hands-on approach with elementary students for 26 years. Peggy earned her M.S. in Educational Technology from Lesley University and her B.S. in Elementary Education from the University of Montana – Billings. Her superhero ability is figuring out which LEGO® minifigure is hiding in the little foil-sealed packages. Ian Chow-Miller is a middle school teacher who would be bored teaching without LEGO®, robotics and other hands-on STEM materials. 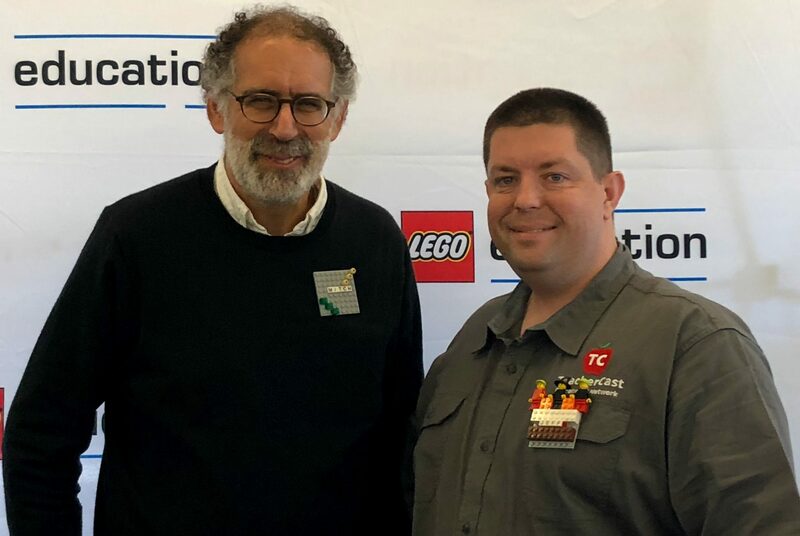 Ian was a proud member of the LEGO® Education Advisory Panel and loves the opportunity to engage with the products both at the company level and in his classroom. He is the author of several books on robotics, 3D printing and a STEM series for kids. In his spare time he coaches soccer and he lives in Washington State with his amazing wife and two sons who are growing up too fast. Elizabeth Vaith has been married for 25 years and has 3 beautiful children: Alexander (24), Angelina (15) and Amelia (15). Her husband and their children made the commitment eight years ago to become foster parents and welcomed Angelina six years ago to their family. Her adoption was finalized in May 2018. Elizabeth grew up in Washington State, moved to Virginia after high school to be a nanny and then traveled to Minnesota for college. After she married her husband Bill, they moved to Arizona for Bill’s terminal degree in art. In 1997 they moved back to Washington to raise their children. Outside of teaching, which is a true passion for her, Elizabeth enjoys camping, fishing, hiking, riding motorcycles, and reading, but most of all spending time with her family. Amy Kuntz received her undergraduate degree from Huntington University (Indiana) in 2001 and has a master’s degree in Educational Technology from Boise State University (Idaho). She has been teaching at Caro Community Schools, a rural area in Michigan’s thumb region, for 17 years in various age groups. She is a 4th grade lead teacher, technology coach, school improvement science chair, and co-runs an afterschool computer coding and simple robotics club that she helped to create. Amy is a Foundation Fellow for Dow Corning and Saginaw Valley State University, a Microsoft Innovative Educator, Apple Teacher, Smithsonian Science Education Academy for Teachers participant, and has spoken at several conferences and workshops on the importance of STEM in education. Amy is passionate about STEM and bringing her students new opportunities through writing grants and cultivating partnerships. She is currently working with two Michigan universities on curriculum opportunities, one which will combine virtual reality with their global campuses to expose her students to the world beyond. Follow along with her at thatselementary.weebly.com. Amanda Peterson was born and raised in Milford, Iowa, where she graduated from Okoboji High School. She went on to Northwestern College in Orange City, Iowa, where she graduated with a BA in Elementary Education with an endorsement in Multicatigorical Resource Mild. She was a K-5 Resource Room Teacher at Jackson Elementary in Lamar Consolidated Independent School District for 8 1⁄2 years, before she became a Campus Instructional Technology Specialist (CITS) at Lamar CISD. She has a wonderful husband who is a CITS for Lamar CISD, and a son who is in 7th grade. She enjoys sewing, crafting and spending time with friends and family in her free time. 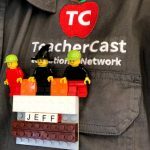 Join the TeacherCast Insiders Program Today! Success! 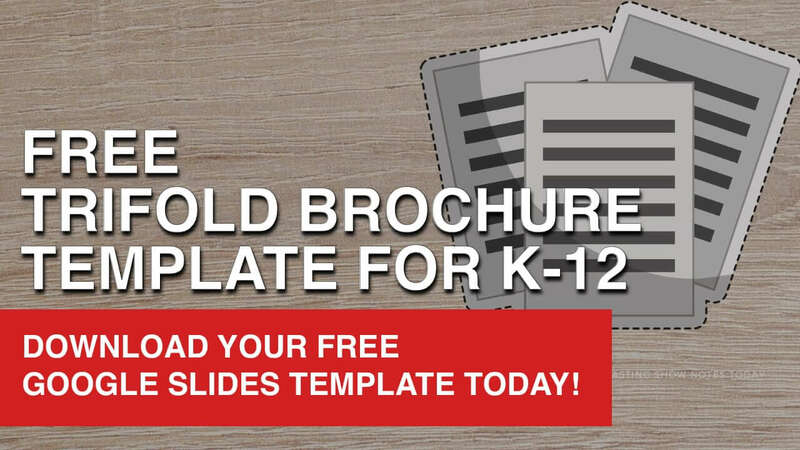 Now check your email to confirm your TeacherCast Insiders Program membership and receive your FREE Google Slides template. Teaching Headstart is Rebecca McKeithen’s passion because she serves students living at or below the poverty level in her area, giving them a positive first educational experience that gets to be the foundation of all future learning. Working with the youngest learners, she believes in the education of play, problem solving, and cooperation. She is so proud of the culture of kindness in her classroom that stems from children experiencing love, safety, and fun within the walls they share each day! She is also a wife, mother to two children, and Founder and President of FoodRaising Friends, Inc., a charity that gives children and families at risk for hunger, breakfast and lunch during long breaks from the free breakfast and lunch programs at school. Kristin Willilams-Luthi is an accomplished and driven professional with a highly enthusiastic and unmatched drive. She is a self-directed, action-oriented professional with over 10 years of experience as an educator. She passionately provides her students with rigorous instruction focused on STEM integration and robotics. Mrs. Luthi is actively involved in Georgia FIRST® LEGO® League and serves as both a coach and judge. She also directs a GIRLS STEM Summer Camp which provides girls the opportunity to engage in STEM, coding and robotics. all opportunities that she can bring back to build a better learning experience for her students and better herself as an educator. She holds a MS in Instructional Leadership and is certified in K-6th grade Elementary and K-12th grade Technology Education. She believes it is important to take risks in learning and teach her students to do the same. Her belief is that you only truly learn when you reach outside your comfort zone. She has had teaching experiences in both Australia and Aruba prior to starting her career in Pittsburgh. She enjoys spending her summers traveling around the world with her husband to learn about other cultures (her favorite part of the world is Southeast Asia). Jeanne Smith has been a teacher of young children for the past 24 years in Enfield, CT where she grew up and still lives. Teaching is not just a job for her. Along with raising her daughter, it is her life’s work. Besides teaching, she enjoys traveling with her husband, cooking and books, books, books. She is passionate about horses and cannot imagine her life without them or a couple of cats. Grace Finn is a parent, a teacher and an innovator. She puts forth her best to make each day great for all those she encounters. She is a traveler and takes her family on camping adventures with the goal of visiting all of the US national parks (they are halfway there!). 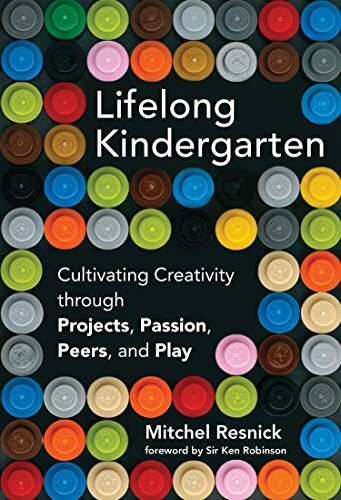 She is curious and passionate about many things and works to instill that sense of wonder and engagement in both her own children and in those she teaches. Caroline Hanson is a middle school robotics teacher and coach for FIRST® LEGO® League (FLL) teams and FIRST® Tech Challenge (FTC). She advocates for STEM education in her district, regionally, and serves on the state tournament planning committee for FIRST® Colorado. Caroline supports the gifted and talented program, provides reading enrichment, and co-leads a project and problem-based integrated learning pilot. Coffee, LEGO®, and her family motivate her to expand her thinking. As a teacher for the last 25 years, Julie Willie strives to light a fire within each child. Her hope is that each student will be enriched by exposure to rigorous tasks and empowered through success. She tries to model living a meaningful life in her own community through her occupation and lifestyle. Living in the Roaring Fork Valley has allowed her to get out into the backcountry, which she cherishes. When she is not teaching she is usually skiing, riding her bike, hiking and/or advocating for the preservation of public lands. 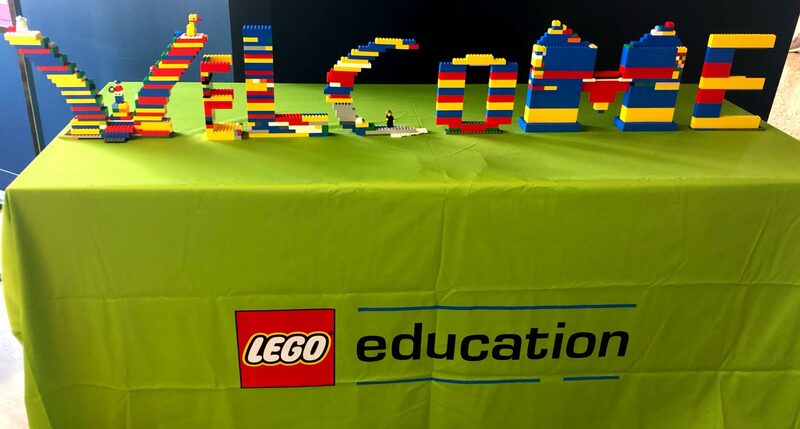 How can you transform your classroom with LEGO Education? Do you have a LEGO story from your childhood? We would love to learn how you are using LEGO either in your classrom or at home with your family. Please leave us a comment below. Jeff Bradbury, creator of TeacherCast, and father of the famous @EduTriplets is the Coordinator of Instructional Technology at Westwood Regional School District. Thanks for checking out TeacherCast today. Please take a moment to find me on all of my Social Media channels!